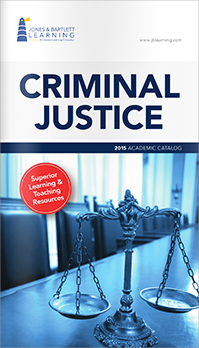 Discover new editions of best-selling resources for your criminal justice, criminology, and law enforcement curricula in the 2015 Criminal Justice Catalog. Take a look inside for a complete list of course resources, new technology, and custom print solutions. View the catalog on your computer or mobile device, or download and print a copy for your reference.